Virginia Polytechnic Institute and State University, Blacksburg, Virginia, U.S.A.
(1972 – 1974) Ph.D. (Doctor of Philosophy) in Engineering Mechanics. Major field: Fluid Mechanics, with minor fields of interest: Applied Mathematics, Elasticity, General Dynamics. (1971 – 1972) M.Sc. (Master of Science) with Thesis in Aerospace Engineering. National Technical University of Greece, Athens, Greece. (1966 – 1971) Five-year Diploma in Mechanical and Electrical Engineering. Royal Dutch/Shell, Koninklijke/Shell Exploratie en Produktie Laboratorium, Engineering Department, Rijswijk/The Hague, The Netherlands. Shell Development Company, Westhollow Research Centre, Transportation (Offshore Pipelines and Risers) Research and Engineering Department, Houston, Texas, U.S.A.
University of Houston, Chemical Engineering Department, Houston Texas,U.S.A. • Mott MacDonald, Ltd., U.K.
1971 – 2011 Chartered Engineer in Greece. 1989 – 1991 Associate Head of the Chemical Engineering Department. University of Patras, Greece. 1991 – 1993 Head of the Chemical Engineering Department, University of Patras, Greece. 1993 – 1995 Associate Head of the Chemical Engineering Department. University of Patras, Greece. 1997 – 1999 Head, Division of the Physical Processes and Environment Division of the Chemical Engineering Department, University of Patras, Greece. 1997 – 2001 Vice-president of the Greek Association of Computational Mechanics (GRACM). 1998 Member of the Greek National Board of Evaluators, Government Gasette No. 452, 12 May, 1998. 1999 National Coordinator of the theme “Environment” for the involvement of Greek entities in the Key Action “Aeronautics” Theme 3 of the 5th Framework Programme. 1991 Expert to the GEOSCIENCE project of the “Non-nuclear Energies Programme (JOULE)” of the Directorate-General for Science, Research and Development, DG-XII, of the Commission of the European Communities. 1991 – 1994 National Representative of Greece to the “Non-Nuclear Energies Programme (JOULE)” of the Directorate-General for Science, Research and Development, DG-XII, of the Commission of the European Communities. 1991 – 1992 Short-listed Individual Expert to the Directorate – General for Energy, DG-XVII, of the Commission of the European Communities for the Analysis and Evaluation of Proposals and Projects in the Energy Industry. 1991 – 1992 Member of the restricted list of the network of scientists for the European Wave Energy Pilot Study of the Directorate – General for Energy, DG-XVII, of the Commission of the European Communities. 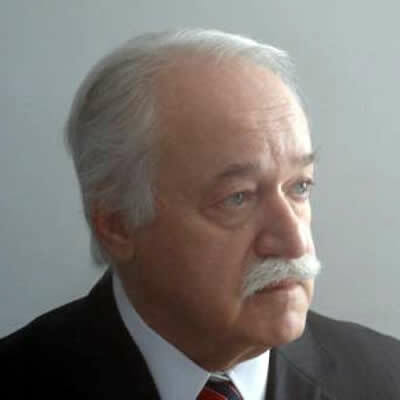 1991 – 2005 National Representative of Greece to the Working Party on Computer Aided Process Engineering of the European Federation of Chemical Engineering. 1993 Member of the Working Group on “Industry University Relations – Fundamental Research” of the Industrial R&D Advisory Committee (IRDAC) of the European Commission. 1995 – 1998 Member of the List of Qualified Persons to Assist the Commission in the Areas Relating to European Community Research and Technological Development Programmes in the Fields of Non-Nuclear Energy, Sublist 1. 1995 – Present Member of the International Information Academy, Social-scientific NGO in Consultative Status (Category I) with the Economic and Social Council of United Nations 2000 – Present Full member (Academician) of the International Academy of Technological Cybernetics (INNOVATICS), Russian Federation. 1985 – 1987 “Journal of Energy Resources Technology”, a Transaction Journal of the American Society of Mechanical Engineers. 1986 – 1993 “Journal of Offshore Mechanics and Arctic Engineering”, a Transaction Journal of the American Society of Mechanical Engineers. 1995 – 2011 Member of the Editorial Board of the Journal “Technical Proceedings, Scientific Editions ” of the Technical Chamber of Greece. 2005 – Present Member of the editorial board of the International Journal of Low Carbon Technologies. 1986 Co-editor of the Proceedings of the ASME, Fifth International Offshore Mechanics and Arctic Engineering Conference, Volume III “Offshore Structures and Pipelines”. Tokyo, Japan, 1996. 1998 Co-Editor of the Proceedings of the Fourth European Conference on Computational Fluid Dynamics (ECCOMAS). Athens, Greece, 7-11 September 1998. 2001 Editor of the Proceedings of the Fourth European Conference on Noise Control (EURONOISE 2001). Patras, Greece, 14-17 January, 2001. 2002 Editor of the Proceedings of the Fourth GRACM Congress on Computational Mechanics (GRACM 2002). Patras, Greece, 27-29 June, 2002. 2002 Co-Editor of the Proceedings of Evolutionary Methods for Design, Optimization and Control with Applications to Industrial Problems Conference (EUROGEN 2001). Athens, Greece, 19-21 September, 2001. 2004 Editor of the Proceedings of the 1st International Conference “From Scientific Computing to Computational Engineering” (IC-SCCE). Athens, Greece, 8-10 September, 2004. 2005 Editor of the Proceedings of the 1st International Conference on Experiments/Process/System Modelling/Simulation/ Optimization (IC-EpsMsO). Athens, Greece, 6-9 July, 2005. 2006 Editor of the Proceedings of the 2nd International Conference “From Scientific Computing to Computational Engineering” (IC-SCCE). Athens, Greece, 5-8 July, 2006. 2007 Editor of the Proceedings of the 2nd International Conference on Experiments/Process/System Modelling/Simulation/ Optimization (IC-EpsMsO). Athens, Greece, 4-7 July, 2007. 2008 Editor of the Proceedings of the 3rd International Conference “From Scientific Computing to Computational Engineering” (IC-SCCE). Athens, Greece, 9-12 July, 2008. 2009 Editor of the Proceedings of the 3rd International Conference on Experiments/Process/System Modelling/Simulation/ Optimization (IC-EpsMsO). Athens, Greece, 8-11 July, 2009. 2010 Editor of the Proceedings of the 4th International Conference “From Scientific Computing to Computational Engineering” (IC-SCCE). Athens, Greece, 7-10 July, 2010. 2011 Editor of the Proceedings of the 4th International Conference on Experiments/Process/System Modelling/Simulation/ Optimization (IC-EpsMsO). Athens, Greece, 6-9 July, 2011. 2012 Editor of the Proceedings of the 5th International Conference “From Scientific Computing to Computational Engineering” (IC-SCCE). Athens, Greece, 4-7 July, 2012. • Member of the Organising Committee of the Congress on Computational Mechanics, Athens, Greece, 1-2 September, 1992. • Member of the Scientific Committee of the ESCAPE 3 Conference, Gratz, Austria, 5-7 July, 1993. • Member of the Scientific Committee of the Conference on Rational Use of Energy in Industrial Processes, Athens, Greece, 26-28 January, 1994. • Member of the Organising Committee of the 4th Conference of the Greek Union of Theoretical and Applied Mechanics, Xanthi, Greece, 26-29 June 1995. • Member of the Organising Committee of the 1996 European Community on Computational Methods in Applied Sciences, Paris, France, 9-13 September, 1996. • Member of the International Committee and Session Chairman of the First European Congress on Chemical Engineering, Florence, Italy, 4-7 May, 1997. • Member of the Scientific Committee of the Second International Conference on Active Control in Mechanical Engineering, Lyon, France, 22-23 October 1997. • Member of the Advisory Scientific Committee of PRES’ 98: 1st Conference on Process Integration, Modelling and Organisation for Energy Saving and Pollution Reduction. Praha, Czech Republic, August 23-28, 1998. • Member of the Organising Committee and Session Chairman of the 5th National Congress on Mechanics, Ioannina, Greece, August 27-30, 1998. – Member of the Scientific Committee. – Member of the Greek Organising Committee. • Minisymposium Organizer and Chairman. • Member of the Advisory Committee of the Third European Wave Energy Conference. Patras, Greece, September 30 – October 2, 1998. • Member of the Organizing Committee and Session Chairman of the 8th IFAC-LSS ’98 Conference. Patras, Greece, 15-17 July, 1998. • Member of the Scientific Committee of the Fourth Italian Conference on Chemical and Process Engineering. Florence, Italy, May 2-5, 1999. • Member of the Scientific Committee of the International Symposium on Water Management. Tirana, Albania, May 22-24, 1999. • Member of the Organizing Committee and Session Chairman of the 3rd National Congress on Computational Mechanics. Volos, Greece , June 24-26, 1999. • Member of the International Scientific Committee and Session Chairman of the 2nd Conference on Process Integration, Modeling and Optimization for Energy Saving and Pollution Reduction PRES’99. Budapest, Hungary, May 31 – June 2, 1999. • Member of the International Scientific Committee of the 3rd Conference on Process Integration, Modeling and Optimization for Energy Saving and Pollution Reduction PRES 2000. Prague, Czech Republic, 27 – 31 August, 2000. • Member of the Scientific Committee of the European Community on Computational Methods in Applied Sciences (ECCOMAS 2000). Barcelona, Spain, September 11-14, 2000. • First International Conference on “Soft Shore Protection”. Patras, Greece, October 18- 21, 2000. • Chairman and Organizer of the 4th European Conference on Noise Control “Euronoise2001”. Patras, Greece, January 14-17, 2001. • National and International Scientific Committees – Member • Organizer and Chairman of the Workshop of the ENOVNET Thematic Network. Patras, Greece, 15 January, 2001. • Member of the International Scientific Committee and Session Chairman of the 4th Conference on Process Integration, Modelling and Optimisation for Energy Saving and Pollution Reduction (PRES ’01). Florence, 20 – 23 May, 2001. • Member of the Scientific Committee of the First National Conference on “Recent Advances in Mechanical Engineering” ASME International, Greek Section. Patras, Greece, September 17-20, 2001. • Member of the European Organizing Committee of the ECCOMAS Computational Fluid Dynamics Conference (ECCOMAS CFD2001). Swansea, UK, 4-7 September, 2001. • Co-chairman and Session Chairman of the “Evolutionary Methods for Design, Optimization and Control with Application to Industrial Problems” (EUROGEN ’01) Conference. Athens, Greece, 19-21 September, 2001. • Chairman and Organizer of the 4th GRACM Congress on Computational Mechanics (GRACM 2002). Patras, Greece, 27-29 June, 2002. • Member of the Program Committee of the 7th International Conference on Parallel Problem Solving from Nature (PPSN VII). Granada, Spain, 7-11 September, 2002. • Member of the Scientific Committee of the 5th European Conference on Noise Control (EURONOISE 2003). Naples, IT, 19-21 May, 2003. • Member of the Scientific Committee of the 6th Italian Conference on Chemical and Process Engineering (IcheaP-6). Pisa, IT, 8-11 June, 2003. • Member of the National Scientific Committee of International Conference on Computational & Experimental Engineering and Sciences (ICCES ’03), Corfu, Greece, 25-29 July, 2003. • Member of the European Scientific Committee of EUROGEN 2003 Conference, on Evolutionary Methods for Design, Optimization and Control with Applications to Industrial and Societal Problems, Barcelona, Spain, September 15-17, 2003. • Member of the Scientific Committee of International Conference on Sustainable Energy Technologies (SET3), Nottingham, U.K., 8-30 June, 2004. • Member of the Scientific Committee of Computational Mathematics and Numerical Methods, of the ECCOMAS 4th European Congress on Computational Methods in Applied Sciences and Engineering (ECCOMAS 2004), Jyvaskyla, Finland, 24-28 July, 2004. • Chairman and Organizer of the 1rst International Conference “From Scientific Computing to Computational Engineering ”(1st IC-SCCE). Athens, Greece,8-10 September, 2004. • Member of the Program Committee of the 8th International Conference on Parallel Problem Solving from Nature (PPSN VIII). Birmingham, U.K, 18-22 September, 2004. • Member of the International Organizing Committee of the 2nd International Conference of RSA on Sound and Vibration (RSA), Bucharest, Romania, 14-17 October, 2004. • Member of the International Scientific Committee of ESCAPE 15, Barcelona, Spain, 29 May- 1 June, 2005. • Member of the International Scientific Committee of ICheaP-7, Taormina/Giardini di Naxos, Italy, 15-18, June, 2005. • Chairman and Organizer of the 1st International Conference on Experiments/Process/Systems Modelling/ Simulation/ Optimization (1st IC-EpsMsO). Athens, Greece, 6-9 July, 2005. • Chairman and Organizer of the 2nd International Conference “From Scientific Computing to Computational Engineering” (2nd IC-SCCE). Athens, Greece, 5-8 July, 2006. • Chairman and Organizer of the 2nd International Conference on “on Experiments/Process/Systems Modelling/ Simulation/ Optimization” (2nd IC-EpsMso). Athens, Greece, 4-7 July, 2007. • Chairman and Organizer of the 3rd International Conference “From Scientific Computing to Computational Engineering” (3rd IC-SCCE). Athens, Greece, 9-12 July, 2008. • Chairman and Organizer of the 3rd International Conference on “on Experiments/Process/Systems Modelling/ Simulation/ Optimization” (3rd IC-EpsMso). Athens, Greece, 8-11 July, 2009. • Chairman and Organizer of the 4th International Conference “From Scientific Computing to Computational Engineering” (4th IC-SCCE). Athens, Greece, 7-10 July, 2010. • Chairman and Organizer of the 4th International Conference on “on Experiments/Process/Systems Modelling/ Simulation/ Optimization” (4th IC-EpsMso). Athens, Greece, 6-9 July, 2011. • Chairman and Organizer of the 5th International Conference “From Scientific Computing to Computational Engineering” (4th IC-SCCE). Athens, Greece, 4-7 July, 2012. • Member of the European Scientific Committee of EUROGEN 2005 on Evolutionary and Deterministic Methods for Design, Optimisation and Control with Applications to Industrial and Societal Problems. Munich, Germany, September 12-14, 2005. • Member of the Scientific Committee of the 2nd International Conference on Safety and Environmental (CICAP2) organized by AIDIC, Naples, Italy, May 21-26, 2006. • Member of the Scientific Committee of the 13th International Congress on Sound and Vibration (ICSV13), Vienna, Austria, July 2-6, 2006. • Member of the Scientific Committee of the 5th International Conference SET 2006 on Sustainable Energy Technologies, Vicenza, Italy, August 30 –September 1, 2006. • Member of the Scientific and Industrial Committee of the Eccomas CFD 2006, European Conference on Computational Fluid Dynamics, Egmond aan Zee, The Netherlands, September 5-8, 2006. “Evolutionary Algorithms in Engineering and Computer Science”, edited by K.Miettinen, M. Makena,P.Neittaanmaki & J. Periaux, PART III Industrial Applications. 18 Optimization of an Active Noise Control System inside an Aircraft, Based on the Simultaneous Optimal Positioning of Microphones and Speakers, with the Use of a Genetic Algorithm. Z.G.Diamantis, D.T.Tsahalis and I. Bochers. Pages 399 –410. • Scientific Journal of the Technical Chamber of Greece. • Journal of Offshore Mechanics and Arctic Engineering, ASME. c) Development of Industrial Facilities. 1976 – 1977 Cited in the 15th Edition of the Who’s Who in the South and Southwest. 1979 Cited in the 14th Edition of the American Men & Women of Science,Volume VII. 1980 Cited in the Dictionary of International Biography, Volume Sixteen. 1982 Cited in the Third Edition of Who’s Who in Technology Today, Mechanical, Civil & Earth Science Technologies, Volume 2. 1986 Cited in the Fifth Edition of Who’s Who in Technology, Volume 2. 1993 – 1994 Cited in the Who’s Who “Condensed Biographical Journal”. 1996 Cited in the 13th Edition of Who’s Who in the World. 1998 Cited in the 16th Edition of Who’s Who in the World. 2002-2003 Cited in the 33rd Edition in Finance & Industry of Who’s Who in the World. 2005- 2006 Cited in the forthcoming 23td Edition of Who’s Who in the World. 2006 Cited in the International Biographical Center of Cambridge, Featuring the 2000 Outstanding Intellectuals of the 21st Century Awards Programme. Miedzynarodowy Port Lotniczy im. Jana Pawla II Krakow – Balice Sp. z o.o. Saab – Scania Aircraft AB. Advanced Mechanics & Engineering Ltd.
1. “Numerical Investigation of Unsteady Boundary-Layer Separation”, Physics of Fluids, Vol. 16, pp. 968-973, July 1973, with D. P. Telionis and M. J. Werle. 2. “The Effect of Blowing on Laminar Separation”, Journal of Applied Mechanics, Vol. 40, pp. 1133-1134, December 1973, with D. P. Telionis. 3. “Unsteady Laminar Separation Over Impulsively Moved Cylinders”, Acta Astronautica, Vol 1, pp. 1487-1505, 1974, also presented at the XXIV Congress of the International Astronautics Federation, Baku, U.S.S.R., October 1973, with D. P. Telionis. 4. “Response of Separation to Impulsive Changes of Outer Flow” AIAA Journal, Vol. 12, No. 5, pp. 614-619, May 1974, also presented at the AIAA, 6th Fluid and Plasma Dynamics Conference, July 1973, AIAA Paper No. 73-684, with D.P. Telionis. 5. “Oscillating Boundary Layers with Large Amplitude”, Proceedings of the Workshop on Unsteady Flow in Jet Engines, Vol. 1, pp. 407-416, Hartford, Connecticut, July 1974, Editor F.O. Carta, with D. P. Telionis. 6. “Oscillating Laminar Boundary Layers and Unsteady Separation”, AIAA Journal, Vol. 12, No. 11, pp. 1469-1476, November 1974, also presented at the AIAA, 12th Aerospace Sciences Meeting, January 1974, AIAA Paper NO. 74-100, with D.P. Telionis. 7. “On the Behaviour of Turbulent Boundary Layers Near Separation”, AIAA Journal, Vol. 13, No. 10, 1261-1262, October 1975, with D. P. Telionis. 8. “Unsteady Turbulent Boundary Layers and Separation”, AIAA Journal, Vol. 14, No. 4, pp. 468-474, April 1976, also presented at the AIAA, 13th Aerospace Sciences Meeting, January 1975, AIAA Paper No. 75-27, with D. P. Telionis. 9. “Conditions for the Entertainment of Settled Water in Crude Oil and Product Pipelines”, presented at the AIChE 83rd National Meeting, Houston, Texas, March 1977, Paper No. 40d. 10. “Laminar Boundary-Layer Separation from an Upstream-Moving Wall”, AIAA Journal, Vol. 15, No. 4, pp. 561-566, April 1977, also presented at the AIAA, 9th Fluid and Plasma Dynamics Conference, July 1976, AIAA Paper No. 76-377. 11. “On the Theory of Skin Friction Reduction by Compliant Walls”, presented at the AIAA, 10th Fluid and Plasma Dynamics Conference, Albuquerque, New Mexico, June 1977, AIAA Paper No. 77-686. 12. “Experimental Study of the Entertainment of Settled Water in Crude Oil and Product Pipelines”, presented at the AIChE 70th Annual Meeting, New York, November 1977, paper No.35f. 13. “Mitigation of Chemical Spills. RIDIS: A River Dispersion Model”, presented at and published in the Proceedings of the 1978 National Conference and Exhibition on Control of Hazardous Material Spills, pp. 427-431, Miami Beach, Florida, April 1978. 14. “Theoretical and Experimental Study of Wind and Wave Induced Drift”, Journal of Physical Oceanography, also presented at the Second Conference on Atmospheric and Oceanic Waves and Stability of the American Meteorological Society, Boston, Massachusetts, October 1978. 15. “Contingency Planning for Oil Spills. RIVERSPILL: A River Simulation Model”, presented at and published in the Proceedings of the 1979 Oil Spill Conference, pp. 27-36, Los Angeles, California, March 1979. 16. “The Hydrodynamic Stability of Two Viscous Incompressible Fluids in Parallel Uniform Shearing Motion”, Journal of Applied Mechanics, Vol. 46, No. 3, pp. 499-534, September 1979, also presented at the ASME-CSME Applied Mechanics/Bioengineering/Fluid Engineering Conference, Niagara Falls, New York, June 1979. 17. “Turbulent Boundary Layers with Unsteady Injection-Suction”, Journal of Fluids Engineering, Vol. 102, pp. 364-371, September 1980, also presented at the Winter Annual Meeting of the American Society of Mechanical Engineers, ASME Vol.Bk H00118, pp. 13-19, San Francisco, California, December 1978. 18. “Vortex-Induced Vibrations of a Flexible Cylinder Near a Plane Boundary in Steady Flow”, presented at and published in the Proceedings of the 1981 Offshore Technology Conference, OTC Paper No. 3991, Houston, Texas, May 1981, with W. T. Jones. 19. “The Effect of Sea-Bottom Proximity on the Fatigue Life of Suspended Spans of Offshore Pipelines Undergoing Vortex-Induced Vibrations”, presented at and published in the Proceedings of the 1982 Offshore Technology Conference, OTC Paper No. 4231, Houston, Texas, May 1982, with W.T. Jones. 20. “The Effect of Seabottom Proximity on the Vortex-Induced Vibrations and Fatigue Life of Offshore Pipelines”, ASME Transactions Journal of Energy Resources Technology, Vol. 105, pp. 464-468, December 1983, also presented at and published in the Proceedings of the ASME, 2nd International Symposium on Offshore Mechanics and Arctic Engineering, pp. 129-134, Houston, Texas January-February 1983. 21. “Vortex-Induced Vibrations of a Flexible Cylinder Near a Plane Boundary Exposed to Steady and Wave-Induced Currents”, ASME Transactions Journal of Energy Resources Technology, Vol. 106, pp. 206-213, June 1984, also presented at and published in the Proceedings of the ASME, 3rd International Symposium on Offshore Mechanics and Arctic Engineering, pp. 328-336, New Orleans, Louisiana, February 1984. 22. “Similitude Analysis of the Vortex-Induced Vibrations of a Flexible Cylinder Exposed to Steady and Wave-Induced Currents”, presented at and published in the Proceedings of the ASME, 5th International Symposium on Offshore Mechanics and Arctic Engineering, Tokyo, Japan, 1986. 23. “Vortex-Induced Vibrations of Suspended Spans of Offshore Pipelines Exposed to Steady and Wave-Induced Currents”, ASME Transactions Journal of Offshore Mechanics and Arctic Engineering, Vol. 109, pp. 112-118, May 1987, also presented at and published in the Proceedings of the ASME, 4th International Symposium on Offshore Mechanics and Arctic Engineering, pp. 618-628, Dallas, Texas, February 1985. 24. “Prediction of Irregular Wave Forces on Marine Pipelines”, presented at and published in the Proceedings of the ASME, 7th International Symposium on Offshore Mechanics and Arctic Engineering, Houston, Texas, February 1988, with M. Bryndum and W. Jacobsen. 25. “Experimental Investigation of the Diaphragm Forming Technique Using Continuous Carbon Fiber Reinforced Peek”, presented at the Fourth European Conference on Composite Materials, Stuttgart, FDR, September, 1990, with S. G. Pantelakis, B. T. Kermanidis, R. Kalogeropoulos. 26. “Modelling of the Diaphragm Forming Technique Applied to Continuous Fiber Reinforced Thermoplastic Composites”, presented at the Symposium on Processing of Polymers and Polymeric Composites of the ASME 1990 Annual Meeting, Dallas, Texas, November, 1990, with S. G. Pantelakis and V. Schulze. 27. “Advanced Study for Active Noise Control in Aircraft (ASANCA), presented at the DGLR/AIAA 14th Aeroacoustics Conference, Paper DGLR/AIAA-92-02-092, Aachen, Germany, May 11-14, 1992, with I. U. Borchers et al. 28. “Hydrodynamic Forces on Pipelines: Model Tests”, ASME Transactions Journal of Offshore Mechanics and Arctic Engineering, Vol. 114, pp. 231-241, November 1992, also presented at and published in the Proceedings of the ASME, 7th International Symposium on Offshore Mechanics and Arctic Engineering, Houston, Texas, February 1988, with M. Bryndum and W. Jacobsen. 29. “Genetic Algorithms for the Optimisation of Operation and Heat and Power Integration of Chemical Processes”, presented at the Conference on Efficient Use of Energy in the Process Industry, Athens, Greece, 26 – 28 January, 1994, with C. Houssiadas. 30. “Active Noise Control in the Interior of Aircraft State-of-the-art” presented at the International Conference ‘Restoration and Protection of the Environment’, University of Patras, 24-26 August 1994, with T. Gialamas and D. Manolas. 31. “Genetic Algorithms for Active Noise Control”, published in Mechanical Systems and Signal Processing Journal, Academic Press, Vol.9, No.6, pp.697-705, 1996, also invited paper presented at the International Conference on Noise and Vibration Control, St. Petersburg, Russia, May 31 – June 3, 1993, with S. K. Katsikas et al. 32. “A Genetic Algorithm for Operation Optimisation of an Industrial Cogeneration System”, Journal of Computers & Chemical Engineering, Vol. 20, Suppl. B, p.p. S1107-S1112, 1996, also presented at ESCAPE-6, Rhodos, Greece, 27-29 May, 1996, with D. A. Manolas, T. P. Gialamas and C. A. Frangopoulos. 33. “Substructuring by means of FRFs: Some investigations on the significance of Rotational DOFs”, presented at IMAC-XIV, Orlando, Florida, USA, 12-15 February, 1996, with T. P. Gialamas, L. Bregant, D. Otte and H. Van der Auweraer. 34. “Rotational Degrees of Freedom: An Investigation of their Influence on the Prediction of the Dynamic Behaviour of a Coupled Structure”, presented at INTER-NOISE ’96, Liverpool, UK, 30 July – 2 August, 1996, with T. P. Gialamas, L. Bregant, D. Otte and H. Van der Auweraer. 35. “A Genetic Algorithm for the Simultaneous Optimisation of the Sensor and Actuator Positions for an Active Noise and/or Vibration Control System”, presented at INTER-NOISE ’96, Liverpool, UK, 30 July – 2 August, 1996, with D. A. Manolas and T. P. Gialamas. 36. “Modelling of Fluid Damping in Thermal Insulation”, presented at International Conference on Noise and Engineering, ISMA 21, Leuven, Belgium, 18-20 September, 1996, Vol II, pp. 731-742. 37. “Operation Optimisation of an Industrial Cogeneration System by a Genetic Algorithm”, Energy Conversion Management Journal, Vol. 38, No. 15-17, pp. 1625-1636, 1997, also presented at ECOS-96, Stockholm, Sweden, 25-27 June, 1996, with D. A. Manolas, T. P. Gialamas and C. A. Frangopoulos. 38. “An Expert System of Energy Saving Technologies for the Process Industry (EXSYS)”, AIDIC Journal, Vol 2, p.p. 319-326, 1997, also presented at the First European Congress on Chemical Engineering (ECCE-1), Florence, Italy, 7 May 1997, with B. Kalitventzeff, A. Lygeros, P. Arpentinier, S. Pierrucci and J. C. Durieux. 39. “Development of a Special Genetic Algorithm for the Selection of the Energy, Best, Available Technologies and their Optimal Operating Conditions”, presented at The First European Congress on Chemical Engineering (ECCE-1), Florence, Italy, 7 May 1997, with D. A. Manolas and T. P. Gialamas. 40. “Porous Materials as Sound Insulation media”, presented at the First Panhellenic Scientific Congress of Chemical Engineering, Patras, Greece, 29-31 May 1997, with D. Photeinos, T.P. Gialamas and D. A. Manolas. 41. “Investigation of the Influence of the Rotational Motion on the Prediction of the Dynamic Behaviour of a Coupled Structure”, presented at the First Panhellenic Scientific Congress of Chemical Engineering, Patras, Greece, 29-31 May 1997, with T. P. Gialamas, K. Raptis and D. A. Manolas. 42. “Development of a Genetic Algorithm for the Optimisation of a Cogeneration System”, presented at the First Panhellenic Scientific Congress of Chemical Engineering, Patras, Greece, 29-31 May 1997, with Z. Diamantis, D. A. Manolas and T. P. Gialamas. 43. “Comparison of the Performance Between a Binary-Based and a Decimal-Based Genetic Algorithm Applied for the Optimisation of a Cogeneration System”, presented at the First Panhellenic Scientific Congress of Chemical Engineering, Patras, Greece, 29-31 May 1997, with G. Efthimeros, D. A. Manolas and T. P. Gialamas. 44. “Performance Prediction of an Active Noise Control System using an Artificial Neural Network”, presented at Active’97, Budapest, Hungary, 21-23 August 1997, with D. A. Manolas and T. P. Gialamas. 45. “A Genetic Algorithm Method for Optimal Position of the Actuator Configuration of an Active Vibration Control System for Trim Panels in Aircrafts”, with D. A. Manolas and Z. G. Diamantis, presented at the IFAC Minisymposium Optimization using Evolutionary Methods (inluding Multicriteria), Patras, Greece, 15-17 July, 1998. 46. “Development of an Expert System Shell Based on Genetic Algorithms for the Selection of the Energy Best Available Technologies and their Optimal Operating Conditions for Process Industry”, presented at the IFAC Minisymposium Optimization using Evolutionary Methods (inluding Multicriteria), Patras, Greece, 15-17 July, 1998. 47. “Development of a Special Genetic Algorithm for the Selection of the Energy Best Available Technologies and its Application to a Test Case”, presented at the CHISA ’98, Prague, Hungary, 23-28 August, 1998, with D. A. Manolas and G. A. Efthimeros. 48. “Optimization of the Actuator Positions for an Active Vibration Control System Applied on a Trim Panel of a Propeller Aircraft Using a Genetic Algorithm”, presented at the 5th National Congress of Mechanics, Ioannina, Greece, 27-30 August, 1998, with D. A. Manolas. 49. “Intensified Energy – Saving Technologies Developed in EU- Funded Research :A Review”, published in Applied Thermal Engineering Journal, Elsevier, Vol. 20, Issue 15-16, pp.1607-1613, July 2000, also presented at the PRES’99, Budapest, Hungary, May 31-June 2, 1999, with G.A. Efthimeros. 50. “A Genetic Algorithm for Optimal Positioning of Actuators in Active Noise Control: Results from the ASANCA Project”, published in Aircraft Engineering and Aerospace Technology Journal, MCB University Press, Vol. 72, No 3, pp. 252-257, 2000, also invited paper presented at the Internoise 93 Conference, Leuven, Belgium, August 24 – 26, 1993, with S. K. Katsikas and D. A. Manolas. 51. “Development of a MATLAB Code Based on a Weak Formulation of Wave Propagation Through a Flexible Porous Material. Comparison with Experimental Results”, published in Aircraft Engineering and Aerospace Technology Journal, MCB University Press, Vol 72, No5, pp.440-446, 2000, also presented at ISMA 21, Leuven, Belgium, 18-20 August, 1996, with T. P. Gialamas and D. A. Manolas. 52. “Simultaneous Optimization of the Sensor and Actuator Positions for an Active Noise and/or Vibration Control System Using Genetic Algorithms, Applied to a Dornier Propeller Aircraft”, with D. A. Manolas and I. Borhers, published in Engineering Computations Journal, Elsevier, Vol. 17, Issue 5, pp.620-630, 2000, also presented at the Minisymposium ‘Impact on Evolutionary Computing in Flow Engineering’, of the ECCOMAS ’98, “Computational Fluid Dynamics ’98”, Athens Greece, 7-11 September 1998, Volume 1 Part 1&2, Volume 2. Editors: Kyriakos D. Papailiou, Demos Tsahalis, Jacques Periaux, Dietrich Knoerzer. 53. “Optimization of an Industrial Cogeneration System by means of a Multi-Objective Genetic Algorithm”, presented at the ESCAPE 10 Conference, Florence, Italy, 7-10 May, 2000, with G.A. Efthimeros, D.I. Photeinos, I.G. Katsipou, Z.G. Diamantis. 54. “Objective fuctions for Optimization in the Process Industry Problems”, presented at CHISA/PRES 2000 Conference, Prague, Czech Republic, 27-31 August, 2000, with G.A. Efthimeros, Z.G. Diamantis, D.I. Photeinos. 55. “Optimization of a FEM Railway Wheel Model in Terms of its Vibration-Noise Characteristics”, presented at ECCOMAS 2000 Conference, Barcelona, Spain, 11-14 September, 2000, with G.A. Efthimeros, D.I. Photeinos, Z.G. Diamantis. 56. “Development of an Artificial Neural Network (ANN) based Virtual Passenger”, presented at EURONOISE 2001 Conference, Patras, Greece, 14-17 January, 2001, with Z.G. Diamantis, G.A. Efthimeros, D.I. Photeinos. 57. “Development of an Active Vibration Control System with the use of an Artificial Neural Network and a Genetic Algorithm”, presented at EURONOISE 2001 Conference, Patras, Greece, 14-17 January, 2001, with Z.G. Diamantis, G.A. Efthimeros, D.I. Photeinos. 58. “Potential of the application of IESTs in the European Industrial Sectors of Pulp and Paper and Cement Industries: Results of the EXSYS 2 Project”, presented at PRES ’01 Conference, Florence, Italy, 20-23 May, 2001, with G.A. Efthimeros, Z.G. Diamantis, D.I. Photeinos. 59. “Substructuring Technique: Improvement by means of Singular Value Decomposition (SVD)”, published in Applied Acoustics Journal, Elsevier, Vol. 62/10, pp.1211-1219, August, 2001, also presented at Inter-Noise 97, Budapest, Hungary, 25-27 August 1997, with T. P. Gialamas, D. Otte, Van der Auweraer and D. A. Manolas. 60. “Development of an Expert System Shell Based on Genetic Algorithms for the Selection of the Energy Best Available Technologies and their Optimal Operating Conditions for the process Industry”, published in Expert Systems journal, BLACKWELL Publishers, Vol. 18, Issue 3, pp. 124-130, 2001, also presented at the IFAC Minisymposium ‘Optimization using Evolutionary Methods (including Multicriteria)’, Patras, Greece, 15-17 July, 1998, with D. A. Manolas and G. A. Efthimeros. 61. “Development of a Genetic Algorithm for Optimizing the Training of an Artificial Neural Network Simulating a Virtual Passenger of Aircraft”, presented at 1st National Conference on Recent Advances in Mechanical Engineering (ASME ’01), Patras, Greece, 17-20 September, 2001, with Z.G. Diamantis, G.A. Efthimeros, D.I. Photeinos. 62. “Optimization of the Placement of Sensors and Actuators in Aircraft Dynamic Identification ; Solution to an INGENET Test Case”, presented at Evolutionary Methods for Design, Optimization and Control with Applications to Industrial Problems Conference (EUROGEN 2001), Athens, Greece, 19-21 September, 2001, with G.A. Efthimeros, D.I. Photeinos, Z.G. Diamantis. 63. “Prediction of the Dynamic Behaviour of a Coupled Structure using Frequency Response Functions”, published in Journal of Aircraft, AMER Institute of Aeronautics and Astronautics, Vol. 39, No. 1, pp.109-113, 2002, also presented at MV2 Convention on Active Control in Mechanical Engineering, Lyon, France, 22-23 October 1997, with T.P. Gialamas and D.A. Manolas. 64. “Vibration/Noise Optimization of a FEM Railway Wheel Model”, published in Engineering Computations journal (International Journal of Computer-Aided Engineering and Software), Vol. 19(8), pp. 922-931, 2002, with G.A. Efthimeros, D.I. Photeinos, Z.G. Diamantis. 65. “An Innovative Active Vibration Control System based on Artificial Intelligence Techniques”, presented at the 4th CRACM Congress on Computational Mechanics (GRACM 2002), Patras, Greece, 27-29 June 2002, with D.I. Photeinos, Z.G. Diamantis, G.A, Efthimeros. 66. “Optimization of the Input Vector of an Artificial Neural Network, Simulating an Aircraft Passenger, with the use of a Genetic Algorithm.”, presented at the 4th CRACM Congress on Computational Mechanics (GRACM 2002), Patras, Greece, 27-29 June 2002, with Z.G. Diamantis, G.A. Efthimeros, D.I. Photeinos. 67. “Optimization of an Active Noise Control System inside an Aircraft, Based on the Simultaneous Optimal Positioning of Microphones and Speakers, with the Use of a Genetic Algorithm”, published in Computational Optimization and Applications Journal, KLUWER Academic Publ. Vol.23 (1), pp. 65-76, 10/2002 also presented at the EUROGEN’99, Jyvanskyla, Finland, May 30-June 6, 1999, with Z. G. Diamantis, I. Bochers. 68. “3D FEM Simulation of the Noise Generated by the Muffler of an Automobile Exhaust System”, Proceedings of the 4th CRACM Congress on Computational Mechanics (GRACM 2002), Patras, Greece, 27-29 June 2002, with G.A. Efthimeros, D.I. Photeinos, Z.G. Diamantis. 69. “Alternative Neural Network Topologies for Confort Index Estimation in Aircraft Environments”, Proceedings of the 1tst International Conference “From scientific Computing to Computational Engineering” (1stIC-SCCE), Athens, Greece, 8-10 September, 2004, with G.Nokas, Z. Diamantis, D. Tsahalis. 70. “Optimisation of the Parameters of a Back-Propagation Neural Network using Genetic Algorithms”, Proceedings of the 1tst International Conference “From scientific Computing to Computational Engineering” (1stIC-SCCE), Athens, Greece, 8-10 September, 2004, with D. Photeinos, S. Giannareli, D. Tsahalis. 71. “Selection of the Optimal Patterns for the Training of an Artificial Neural Network based Virtual Passenger using a Genetic Algorithm”, Proceedings of the 1tst International Conference “From scientific Computing to Computational Engineering” (1stIC-SCCE), Athens, Greece, 8-10 September, 2004, with Z. Diamantis, D. Photeinos, G. Nokas, D. Tsahalis. 72. “Optimized Feature Extraction for Comfort Index Estimation in Aircraft Environments”, Proceedings of the 1tst International Conference “From Scientific Computing to Computational Engineering” (1stIC-SCCE), Athens, Greece, 8-10 September, 2004, with G. Nokas, D. Photeinos, D. Tsahalis. 73. “Development of an Experimental Setup to Investigate the Performance of Heat Pipes as Capillary Pumps”, Proceedings of the 1st International Conference on Experiments/Process/System Modelling/Simulation/Optimization (1st IC-EpsMsO), Athens, Greece, 6-9 July, 2005, with Diamantis Z.G., Photeinos D.I., Margaris D.P. 74. “Modelling of the Flow Behaviour in a Capillary Pumped Loop”, published in Proceedings of the 1st International Conference on Experiments/Process/System Modelling/Simulation/Optimization (1st IC-EpsMsO), Athens, Greece, 6-9 July, 2005, with Margaris D.P., Diamantis Z.G., Photeinos D.I. 75. “A Human Response Model for Aircraft Environment based on Neural Networks”, Proceedings of the 1st International Conference on Experiments/Process/System Modelling/Simulation/Optimization (1st IC-EpsMsO), Athens, Greece, 6-9 July, 2005, with Nokas G., Photeinos D., Tsokas K.
76. “Modelling the Impact of Environmental Conditions on Comfort, Task Load and Motivation in the Mock Up and in Real Flights”, published in Proceedings of the 1st International Conference on Experiments/Process/System Modelling/Simulation/Optimization (1st IC-EpsMsO), Athens, Greece, 6-9 July, 2005, with Trimmel M. et al. 77. “Investigation of the Performance of Heat Pipes used as Capillary Pumps”, published in the International Journal of Low Carbon Technologies (IJLCT) Volume 1, Issue 1, pp 35 – 46, January 2006, Manchester University Press and presented at the 3rd International Conference on Sustainable Energy Technologies – SET 3, Nottingham, U.K., 28-30 June, 2004 with Diamantis Z.G., Photeinos D.I. 78. “Adaptive Pulse Width/Phase Modulated Controller for a High Frequency Active Electro-Hydraulic Pump System”, Proceedings of the 14th Mediterranean Conference on Control Automation, Ancona Italy, 28-30 June 2006, with Koveos Y., Tzes A. 79. “Modeling Instability of Gravity Draught in the SEATTLER Power Plant” published in Proceedings of the 2nd International Conference “From Scientific Computing to Computational Engineering” (2nd IC-SCCE), Athens, Greece, 5-8 July, 2006, with Rugescu R.D., Tulita C.
80. “FEM and Parameter Optimization of a Passive Poppet-Valve Based Electro-Hydraulic Pump System” published in Proceedings of the 2nd International Conference “From Scientific Computing to Computational Engineering” (2nd IC-SCCE), Athens, Greece, 5-8 July, 2006, with Koveos Y., Tzes A. 81. “Finite Element-Based Simulation of High Frequency Pulsating-Flow in Pump Systems”. presented at the 2nd International Conference “From Scientific Computing to Computational Engineering” (2nd IC-SCCE), Athens, Greece, 5-8 July, 2006, with Koveos Y., Kolyvas E., Tzes A. 82. “Optimal Positioning of an Active Vibration Control System inside an Aircraft, with the use of a Genetic Algorithm”, Proceedings of the 2nd International Conference “From Scientific Computing to Computational Engineering” (2nd IC-SCCE), Athens, Greece, 5-8 July, 2006, with Nokas G.
83. “A Neural Network based Human Response Model for Real Aircraft environment” presented at the 2nd International Conference “From Scientific Computing to Computational Engineering” (2nd IC-SCCE), Athens, Greece, 5-8 July, 2006, with Tsokas K. Nokas G.
85. “Performance Of Heat Pipes As Capillary Pumps: Experiments” published in the International Journal of Low Carbon Technologies ISSN: 1748-1317, January 2007 Issue (2/1), with Z. G. Diamantis, D. I. Photeinos, D. P. Margaris. 86. “Performance Of Heat Pipes As Capillary Pumps: Modelling and comparison with experimental results” published in the International Journal of Low Carbon Technologies ISSN: 1748-1317, April 2007 Issue (2/2), with Z. G. Diamantis, D. I. Photeinos, D. P. Margaris. 88. “Optimal Positioning of Sensor/Actuator Pairs for Health Monitoring in a Fuselage”, published in Proceedings of the 2nd International Conference on Experiments/Process/System Modelling/Simulation & Optimization (2nd IC-EpsMso), Athens, Greece, 4 – 7 July 2007, with Photeinos D., Nokas G.
89. “Optimal Positioning of Sensor/Actuators for Active Vibration Control Inside an Aircraft, with the Use of a Genetic Algorithm.”, published in Proceedings of the 2nd International Conference on Experiments/Process/System Modelling/Simulation & Optimization (2nd IC-EpsMso), Athens, Greece, 4 – 7 July 2007, with Nokas G., Photeinos D.
90. “Optimization of a Terfenol Based Magnetostrictive Electrical Generators Parameters with the Use of a Genetic Algorithm”, published in Proceedings of the 2nd International Conference on Experiments/Process/System Modelling/Simulation & Optimization (2nd IC-EpsMso), Athens, Greece, 4 – 7 July 2007, with Nokas G., Photeinos D.
91. “Performance Evaluation of a High Frequency Active Electro Hydraulic Pump System Relying on Fluid- Resonance Effects”, published in Proceedings of the 2nd International Conference on Experiments/Process/System Modelling/Simulation & Optimization (2nd IC-EpsMso), Athens, Greece, 4 – 7 July 2007, with Koveos Y., Tzes A. 92. An innovative Active Noise Control System based on Artificial Intelligence Techniques – Part I Theoretical background”, Proceedings of the 3rd International Conference “from Scientific Computing to Computational Engineering”, 9 – 12 July 2008, Athens, Greece, with Photeinos D.
93. “An innovative Active Noise Control System based on Artificial Intelligence Techniques – Part II Validation results”, Proceedings of the 3rd International Conference “from Scientific Computing to Computational Engineering”, 9 – 12 July 2008, Athens, Greece, with Photeinos D., Nokas G.
94. “Optimal Positioning of Actuators for Active Noise Control in an Aircraft’s Fuselage”, Proceedings of the 3rd International Conference “from Scientific Computing to Computational Engineering”, 9 – 12 July 2008, Athens, Greece, with Nokas G., Photeinos D.
95. Optimal Positioning of Collocated Sensor/Actuators pairs for Structural of Health Monitoring in an Aircraft’s Fuselage”, , Proceedings of the 3rd International Conference “from Scientific Computing to Computational Engineering”, 9 – 12 July 2008, Athens, Greece, with Nokas G., Photeinos D.
96. “Optimal Positioning of Sensor/Actuators for combined Active Vibration Control and Health Monitoring”, Proceedings of the 3rd International Conference “from Scientific Computing to Computational Engineering”, 9 – 12 July 2008, Athens, Greece, with Nokas G., Photeinos D.
97. “The use of decision tree classifiers for the detection of sound objects using microphone array filtered data – Part I theoretical background”, Proceedings of the 3rd International Conference “from Scientific Computing to Computational Engineering”, 9 – 12 July 2008, Athens, Greece, with Nokas G., Tsokas K., Photeinos D.
98. “The use of decision tree classifiers for the detection of sound objects using microphone array filtered data – Part II applications”, Proceedings of the 3rd International Conference “from Scientific Computing to Computational Engineering”, 9 – 12 July 2008, Athens, Greece, with Nokas G., Tsokas K., Photeinos D.
99. “Poppet valve parameter optimization of a high frequency operating pump system”, International Review of Mechanical Engineering, Volume 4, Issue 1, January 2010, Pages 71-78, with Koveos Y., Tzes A. 100. “Classifiers for Sound Object Detection Using Microphone Array Filtered Data”, Proceedings of the 4th International Conference “from Scientific Computing to Computational Engineering”, 7 – 10 July 2010, Athens, Greece, with Nokas G. , Tsahalis J. 101. “Extremely High Draught Tower Efficiency Proff by Conservation of Energy”, Proceedings of the 5th International Conference “from Scientific Computing to Computational Engineering”, 4 – 7 July 2012, Athens, Greece, with Rugescu R. And Dumitrache C.
102. “Computational Study of a 2D Capillary Pump Loop Evaporator”, published on 8 August 2013, in the International Journal of Low Carbon Technologies, doi: 10.1093/ijlct/ctt056 and presented at the 5th International Conference “from Scientific Computing to Computational Engineering”, 4 – 7 July 2012, Athens, Greece, with Avgerinos N., Margaris D and Pittas K.
103. “Effect of the Working Liquid to the Capillary Pump Loop Performance”, published on 27 November 2013 in the International Journal of Low Carbon Technologies 2013; doi: 10.1093/ijlct/ctt078 and presented at the 5th International Conference “from Scientific Computing to Computational Engineering”, 4 – 7 July 2012, Athens, Greece, with Avgerinos N. and Margaris D..
104. “WENEMOR: Wind Tunnel Tests for the Evaluation of the Installation Effects of Noise Emissions of an Open Rotor Advanced Regional Aircraft”, presented at the 19th AIAA/CEAS Aeroacoustics Conference (34th AIAA Aeroacoustics Conference), 27 – 29 May, 2013, Berlin, Germany, with Bennet G. J. et al. 105.”Acoustic Array Beamforming Analysis through Modeling, Simulation and Response Estimation”, Proceedings of the 5th International Conference “Experiments/Process/System Modeling/Simulation/ Optimization”, 3 – 6 July 2013, Athens, Greece, with Moussas V.C. and Tsahalis H.-T.
106.”CPL Evaporator Experimental Results Compared with the Predictions of a 3D CFD Model”, Proceedings of the 5th International Conference “Experiments/Process/System Modeling/Simulation/ Optimization”, 3 – 6 July 2013, Athens, Greece, with Avgerinos N. and Margaris D.
107.”Determination of Acoustic Array Configuration for Optimal Beamforming Using Genetic Algorithms: Part I ?” Model/Algorithm Development and Verification”, Proceedings of the 5th International Conference “Experiments/Process/System Modeling/Simulation/ Optimization”, 3 – 6 July 2013, Athens, Greece, with Moussas V.C. and Tsahalis H.
108.”Determination of Acoustic Array Configuration for Optimal Beamforming Using Genetic Algorithms: Part II ” Application to Wind Tunnel Testing of Scaled Model of a Regional Aircraft with Counter-Rotating Open-Rotors”, Proceedings of the 5th International Conference “Experiments/Process/System Modeling/Simulation/ Optimization”, 3 – 6 July 2013, Athens, Greece, with Moussas V.C. and Tsahalis H.
109.”Water Hammer Phenomena Involving Two-Phase Flows”, Proceedings of the 5th International Conference “Experiments/Process/System Modaeling/Simulation/ Optimization”, 3 – 6 July 2013, Athens, Greece, with Bogoi A. and Rugescu R.D. 110.”HOMER: A Human Ontology Model for its Environmental Response Application to Aviation Industry”, Proceedings of the 6th International Conference “from Scientific Computing to Computational Engineering”, 9 -12 July 2014,Athens, Greece with Tsahalis J. and Tsahalis H-T.
111.”Optimal Configuration of Wind Tunnel Acoustic Beam-Forming Arrays for Noise Monitoring of Aircraft with Counter-Rotating Open-Rotors Using Genetic Algorithms”, Proceedings of the 6th International Conference “from Scientific Computing to Computational Engineering”, 9 – 12 July 2014, Athens, Greece, with Moussas V.C. and Tsahalis H-T.
• May 1972, 50th Annual Meeting of the Virginia Academy of Science, “Numerical Integration of the Unsteady Boundary-Layer Equations”, with D. P. Telionis. • May 1973, 51st Annual Meeting of the Virginia Academy of Science, “The Effect of Vectored Injection on Laminar Boundary-Layer Separation”, with D. P. Telionis. • May 1974, 52nd Annual Meeting of the Virginia Academy of Science, “Unsteady Streaming in Pulsating Flow”, with D. P. Telionis. • July 1974, invited talk by Dr. M. Wicks, Shell Development Co., Houston, Texas, “Numerical Investigation of Unsteady Separation”. • February 1977, Shell Environmental Specialists Meeting, Houston, Texas, “Simulation of Oil Spills in Rivers and Offshore”. • September 1977, invited by Professor W. Fiszdon of the Polish Academy of Science, XIII Biennial Fluid Dynamics Symposium, Olsztyn, Poland, “Turbulent Boundary Layers with Unsteady Injection-Suction”. • November 1977, invited by Professor D. J. Schneck, Virginia Polytechnic Institute and State University, “Theoretical and Experimental Study of the Stability and Entrainment of Liquid Substrates”. • February 1978, Shell Offshore Engineering Conference, Houston, Texas, “Vortex-Induced Vibrations of Marine Risers”. • March 1978, invited by Professor A.H. Lefevre, Purdue University, “Theoretical and Experimental Study of the Stability and Entrainment of Liquid Substrates”. • November 1978, invited by Dr. J. D. Wilcox, Oil Spill Modeling Workshop, Toronto, Canada, “RIVERSPILL: An Oil Spill Simulation Model for Rivers”. • September 1979, invited by Dr. A. K. Rastogi, University of Karlsrue, West Germany, “The Hydrodynamic Instability of Two Viscous Incompressible Fluids in Parallel Uniform Shearing Motion”. • March 1981, invited by Professor O. Bujukozturk, Massachusetts Institute of Technology, “Experimental Results on the Vortex-Induced Vibrations of Suspended Spans of Pipelines”. • March 1981, invited by Professor D. Rooney, Virginia Polytechnic Institute and State University, “Experimental Results on the Vortex-Induced Vibrations of Suspended Spans of Pipelines”. • September 1981, 1981 Fall Meeting of ASCE, Texas Station, Houston, Texas, “Vortex-Induced Vibrations of Suspended Spans of Offshore Pipelines”. • January 1982, Shell/Royal Dutch Specialists Meeting on Deep-water Risers, The Hague, The Netherlands, “Vortex-Induced Vibrations of Risers”. • February 1982, invited by Professor R. M. Nerem, University of Houston, “Vortex-Induced Vibrations and Associated Fatigue Life of Suspended Spans of Offshore Pipelines”. • February 1984, invited by Professor J. Lou, Texas A&M University, “Vortex-Induced Vibrations and Fatigue Life of Suspended Spans of Offshore Pipelines Exposed to Steady and/or Wave-Induced Currents”. • June 1990, invited by the General Secretariat for Research an Technology of Greece, Workshop on the EC Programme on Aeronautics at the National Institute of Research, Athens, “Experience and Problems of the Greek Universities Related to the Programme of Aeronautics”. • September/October 1991, presentation at the SPRINT Seminar on Technology Transfer and the Management of Innovation Protection in EEC, Athens, “Dissemination of Research and Technological Development Results within Greece”. • September 1992, presentation at the 1st National Congress on Computational Mechanics of the Greek Association of Computational Mechanics, Athens, “Genetic Algorithms for Active Noise Control”. • May/June 1993, presentation at the International Conference on Noise and Vibration Control, St. Petersburg, Russia “Genetic Algorithms for Active Noise Control”. • November 1996, invited by Professor B. Kalitventzeff, Universite de Liege, Belgium, Seminar on Rational Use of Energy in Industry – JOULE III, “An Expert System of Energy Saving Technologies for the Process Industry”. • May 1998, invited presentation “Research Activities on Fluid Mechanics at the Laboratory of Fluid Mechanics & Energy”, at the meeting “Research Activities on Fluid Mechanics in Greece” organized by Professor G. Bergeles. • October 15-17, 2001, invited presentation “The Research and Technology Needs of the European Community Noise Control Industry” at the 1st Conference of the Romanian Acoustical Society, Bucharest, Romania.